Lies; we create them, we spread them, we live with them and we love them. We love our lies so much that when someone comes along and challenges these lies we respond with a fierceness no one knew we possessed. Our lies protect us and we must protect them. But sometimes, suddenly, something will come along, an event, a person, a thought, something that will shake us. This event might be called a cure to blindness. 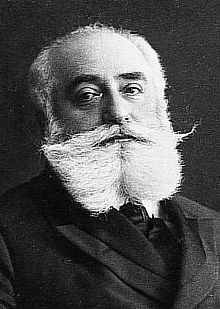 Historian Benzion Netanyahu, when discussing the life of Max Nordau, explains that, like many Jews, Nordau believed in the idea that Europe was a good place for the Jews. Nordau came from an Orthodox family but left Judaism. He married a non Jewish woman and considered himself German. He would often say "We Germans". He did not believe that he was less of a German, or a European, than anyone else. Professor Netanyahu writing in 1941 calls this a "blindness". The lie in this case was that Jews would be fully accepted into European life. It was a lie the Jews created and many believed it. Those who believed it were called "Assimilationists". The Orthodox had a lie of their own, which many still adhere to, and that is that they can continue their way of life in a hostile environment indefinitely. Like Theodor Herzl, Nordau was a journalist. They met at the Dreyfus trial. Both Herzl and Nordau, fully assimilated Jews, were transformed by this event. If a man like Dreyfus could be treated this way, then there was no hope for the Jews of Europe. On that day their blindness was cured, on that day they were blessed with prophecy. On that day they saw the annihilation of European Jewry. Nordau and Herzl, two Jews, finally had their vision back, both would devote the rest of their lives to solving the "Jewish Problem". Their ideas did in fact start the process that led to the creation of the State of Israel. But other Jews, still suffering from blindness, did not see this on time. They stayed in Europe until the Europeans came along with a different solution to the "Jewish Problem". Several months after the Dreyfus Affair, as it became known, Herzl came to visit Nordau. This was July 1895. Herzl had a dream, a crazy idea, too crazy to be believed. At the end of the three day conversation Nordau was sold. 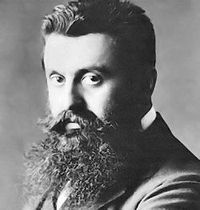 Nordau, a psychiatrist, reached out his hand to Herzl and said his immortal words, "You may be insane, but if you are, I am as insane as you." And thus he became Herzl's first convert to Zionism. Two Jews siting in Paris, France, Europe, they had long since abandoned their Jewish way of life; they had lived a life of lies. They were blind to the truth. The Dreyfus Affair cured them of this lie and now they could see the truth clearly. They each traveled the world and like the prophets of old they preached, but were largely ignored. Today their remains lie peacefully in our State of Israel, which their ideas, way back in 1895, helped create. The truth is inconvenient, the truth will cause us to do work we do not want to do, the truth will cause us to change our way of life. So we hate the truth and we love our comfortable lies. We embrace our lies and defend them. Herzl and Nordau; today their names are honored with street signs here in Israel, and towns such as Herzelia, and Nordia. The owner of our local grocery store is called Herzi. A crazy dream! Yes, but as Herzl pointed out, sometimes the crazy insane, illogical dream is really the ONLY practical plan we have. Think about it; you are stuck in your dead-end job and dead-end life. Leave it all and start your own business!? That is crazy talk! But sometimes the crazy idea is the only one that really makes any sense in light of the past, present and future. But we cannot see clearly because we are blinded by what is comfortable. Four thousands Jews lived comfortably in Dunaszerdahely but could not see the future. Three million Jews lived in Poland but could not see the future. It was just too easy to stay put and do things "as we have always done them". Wake up sleepy ones! Open your eyes and see! It is truly amazing how many people still believe that with traditional karate or Aikido or movieFu they can defend themselves, but …we have always done it this way. With IKI Krav Maga we try not to wait for our "Dreyfus Affair", we try to see the truth clearly all the time. Never forget the reality of life, never be blinded by our sweet comfortable lies, never be content. Never be caught unprepared. Kids today walk along Nordau street, make a left turn and might end up on Herzl Blvd, but do they stop and think? Do they close their eyes for a moment and go back to Paris, 1895, and see two totally crazy Jews sitting for 3 straight days and talking, and coming up with the insane idea that yes, you and I can take this people, scattered all over the world for 2,000 years, speaking a hundred different languages from German to Arabic, from Polish to Amharic and Hindu and English and Parsi and Italian and French and Russian, secular and religious, rich and poor, Communists and Capitalists, and we will get them to all come together and come to a land which is a barren desert controlled by corrupt Turkish sultans and wild nomadic Arabs, we will get these doctors and philosophers to pick up a shovel and become farmers and embrace Jews they have not seen since the destruction of the Temple in the year 70, and together build a modern democratic state?? And yes, in fact, that is exactly what happened. So we should stop and think, because we are the fulfillment of their dream. Their souls are still sitting together, I imagine, and saying..
And then one crazy Jew reaches out to another with his hand and says, "If you are crazy then I am crazy too" and God joins them, and all our holy warriors from the past join them, and the souls that have been waiting for 2,000 years to come home join them, and then the room is filled with spirits and they say, "Amen, yes, it will be so". And today, 118 years later, I sit in Maaleh Adumim, in the State of Israel and I say, "Max, Theodor, Thank you." 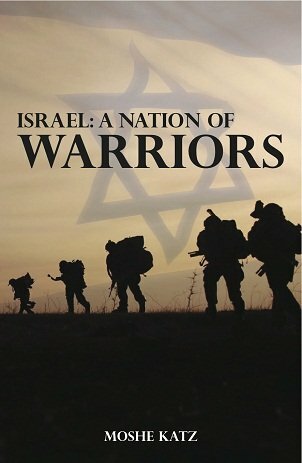 The history of Jewish warriors and fighting strategy from Biblical times to post Biblical times to our own times. A fighting nation; the history that has not been told. Over 250 pages. Krav Maga Tour and Train in Israel. Come see the dream that came true, come train in the Israeli fighting style that has captivated the world. Visit sites of historical and religious importance. Intensive Krav Maga training daily, in the heart of Israel, the Judean Desert. 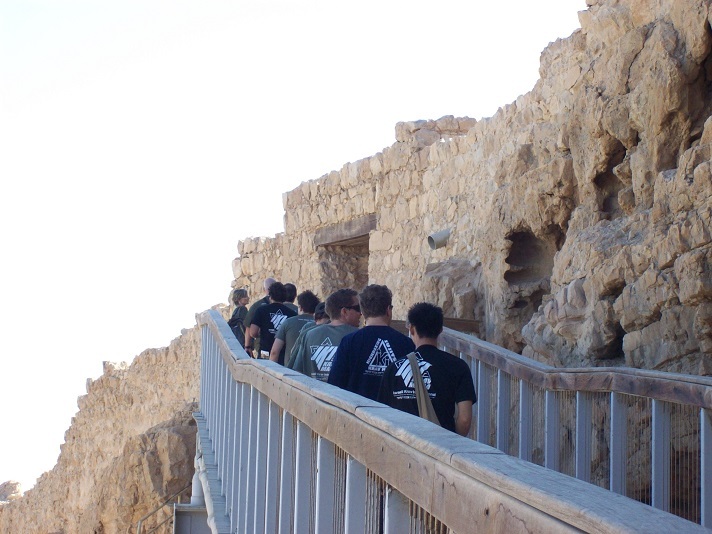 The gang exploring Masada and learning about the first Jewish Roman war.